Submitted by cosamo_admin on Wednesday, December 4, 2013 - 11:11. To enjoy stronger and thicker hair it is important to incorporate protein into your diet on a daily basis. There are many different types of proteins you can consume to aid in strong hair growth but to get more noticeable results the best ingredient to use is eggs. Take one or two eggs according to the length of your hair and beat it. Apply the egg on to your wet hair and allow it for sit for five to ten minutes. You can use a shower cap to keep the smell and moisture locked in! Finally wash your hair with lukewarm water and your favorite shampoo. Follow this once a week to enjoy thicker hair! Visit hair growth remedies now for more benefits on the egg hair treatment! Another popular ingredient that can be used to strengthen your hair is aloe vera. The inside of the aloe leaf is full of a gel that can be removed and applied to the scalp. Once it is applied let sit for an hour and rinse out with luke-warm water. You can also consume one tablespoon of aloe vera juice daily on an empty stomach to assist in better hair growth. Avocado can be used to get thicker hair. Make a mixture of mashed avocado and banana and apply it to your scalp. Leave the mixture on your hair for about a half an hour so that the nutrients in the mixture get absorbed by the scalp. Once you see that it has been absorbed immediately was your hair thoroughly with shampoo and apply a conditioner. Once your hair is dried it will look healthy and thicker! New Health Guide offers a list of avocado recipes that focus on all different hair types! Orange can be used to get rid of dry and oily scalps and also creates thicker hair. 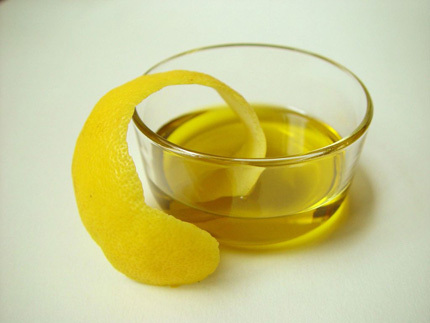 Mix equal amount of orange juice and apple puree together and then apply this mixture on your hair. After 30 minutes is up wash your hair with water. Follow this recipe once a week for more hair volume! Massaging your scalp regularly with pure coconut oil is one of the easiest ways to get thicker hair naturally! By heating the oil and massaging it into your scalp will allow for the follicles to open up and improve blood circulation (which is essential for hair growth). Once the oil is massaged in you can then wrap a warm towel over your hair and leave in for 45 minutes! Trend Statement offers the benefits of using coconut oil as a hair treatment! The fatty acids in flaxseed can assist in getting thicker hair in a much healthier way! Take three tablespoon of flaxseed, mix them in a bowl, and let sit for about five days. After the five days are up, apply the mixture directly onto the scalp. After ten minutes rinse it off with warm water and after a few days this treatment will give you thicker hair. Even eating freshly ground flaxseeds can result in healthier and thicker hair! Olive oil can also hydrate and strengthen your hair. Massaging the scalp for about 20 minutes with warm olive oil before washing will result in thicker hair. You can apply olive oil into your hair before going to bed and wash your hair next morning! Visit New Health Guide for the different uses of olive oil in order to benefit your hair!